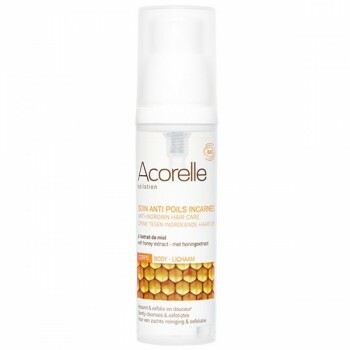 Acorelle anti-ingrown hair spray is an innovation in natural beauty care to keep skin flawless. Hair removal regimes can cause hairs to grow below the skin’s surface, which can be painful and difficult to remove, leading to irritation and unsightly lumps if left untreated. 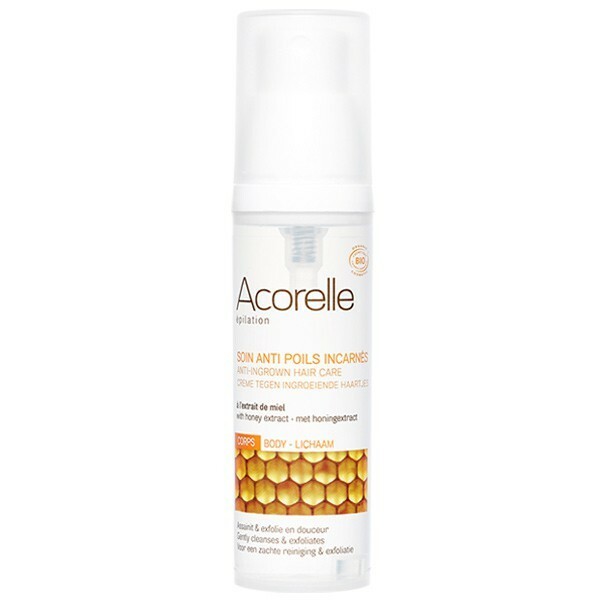 Now Acorelle’s anti-ingrown hair spray provides a natural solution. Combining organic exfoliating properties with lactic acid, this spray gently removes dead skin to free ingrown hairs. Enriched with natural honey to cleanse the skin and aloe vera and glycerine to sooth and moisturise, this is an essential part of any daily skincare regime. Acorelle anti-ingrown hair spray is ideal for men and women to prevent folliculitis and inflammation caused by ingrown hairs and can be used on the underarms, legs, bikini line and beard. To prevent hairiness over time, combine with Acorelle cold wax strips and Gutto Natural ant egg cream. When applied after epilation, creams containing ant eggs (fomic acid) effectively slow down the development of hair overtime, reducing the need to wax or shave.